Many families automatically want to stay in villas in coastal resorts however it is worth remembering that as Mallorca is a small Island, wherever your villa is located, you are unlikely to have to drive too far to enjoy some of the stunning 300kms of coastline that Mallorca has to offer. Some of the most beautiful villas which offer value for money can be found in the centre of the island where you can taste the real Mallorca and soak up the views of the open countryside and often the backdrop of the Tramuntana mountain range. 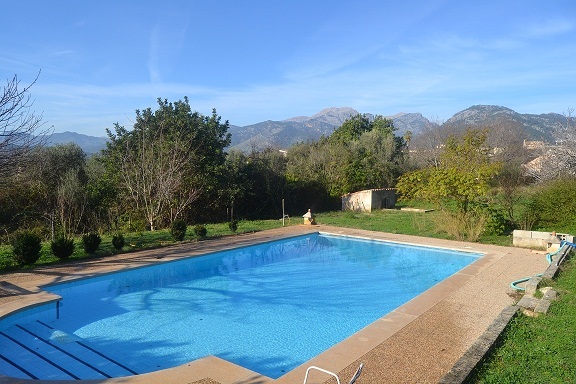 If you have never holidayed in a countryside villa with private pool before perhaps you do not appreciate that you may not even want to go to the beach very often as villas offer such fantastic peace and quiet and a great pool to cool off in. Evening meals cooked by `Dad´on the barbecue, with a beer in his hand and a pool ready to dive into make villa holidays incredibly relaxing for the entire family and cars are often left parked in the driveway for days. 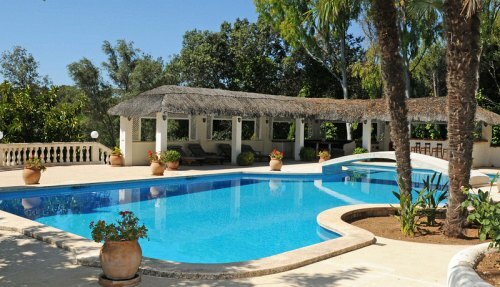 This year I am delighted to offer four very different villas which are located in the centre of the Island. 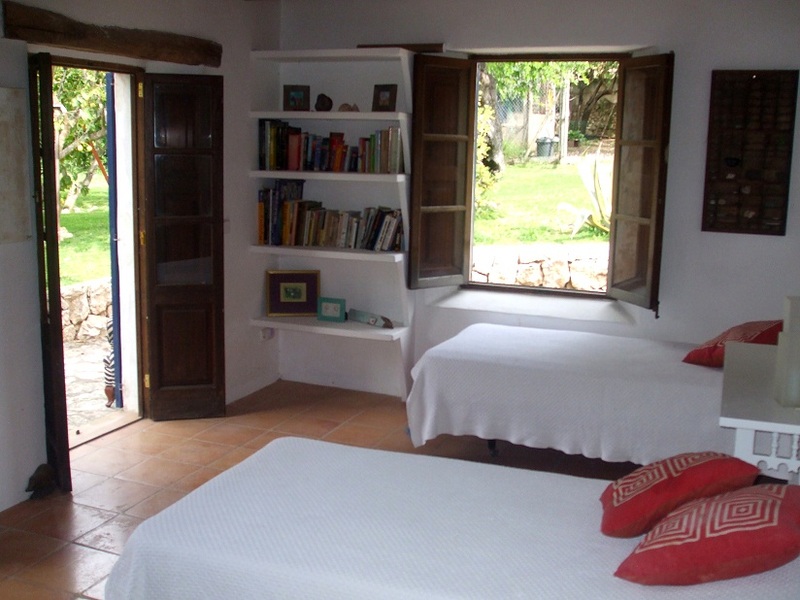 Casa Ana is quiet simply paradise in the middle of the picturesque village of Campanet, so popular with cyclists of all nationalities. 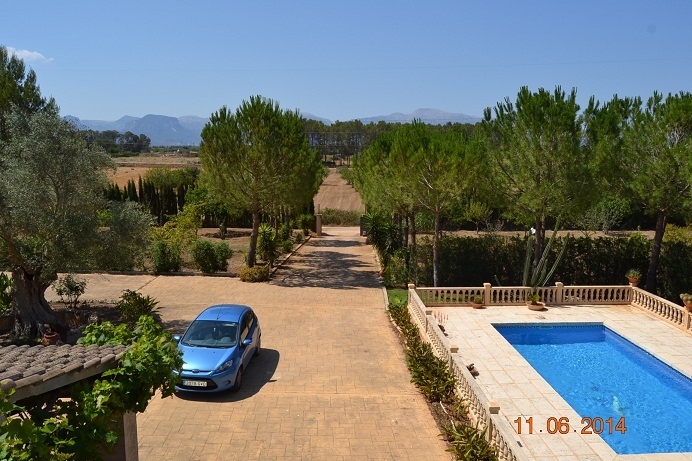 To reach this 3 bedroom property you walk down a narrow alleyway from the street and are left amazed at this immense garden with stunning pool and views. 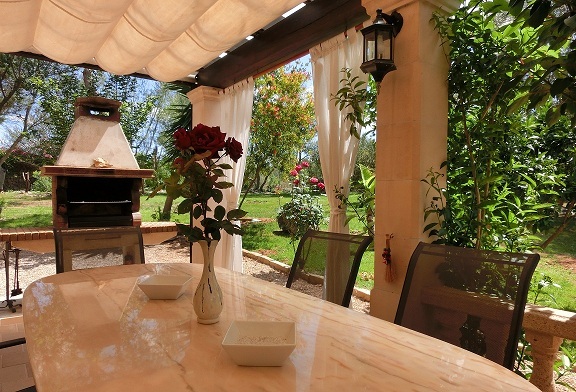 The house is a traditional Mallorcan property full of character, beamed ceilings, quaint sloped ceilings, the occasional chicken roaming in the garden and beautiful furnishings. A car would not be essential for this property which makes it an ideal choice if you do not want to drive. The Villa Casa Clara is a perfect property for winter and autum breaks too as it offers an indoor heated pool, suana, snooker table and even a sun bed! Several very successful weddings have been held at the property which has extensive grounds with ornamental ponds, barbecue area and great views. Indoor pool, sauna, sun bed make it perfect winter break. An additional property for those wishing to soak up some luxury during their holiday is the amazing 4 en suite bedroom villa Finca Antonia located in the picturesque village of Selva, just 4kms outside of Inca, the third largest town on the Island and centre to the leather industry. I have mentioned this property in previous posts so shall not go into so much detail however it is ideal for the most discerning guests and is also a perfect venue for special family celebrations. The villa can accomodate up to 12 people using an anexe and has daily maid service and breakfasts served with fresh produce from the grounds. Finally, a delightful traditional spanish property which has only recently become available for summer rentals is Villa Patrizia which is located 3kms outside the village of Sencellas, 5mins from Inca. This villa is sat in the middle of open countryside and is a real treat due to the quality furnishings but unique character which makes it a comfortable choice of venue. It has 3 bedrooms, beamed ceilings, well equipped kitchen and a beautiful covered terrace, overlooking the colourful garden, which is just perfect for those long leisurley outdoor meals with the family. The pool is sat to the side of the house and is surrounded by furnished sun terraces. A car would be essential for this property. Perfect for leisurely outside dining. Contact www.parasolpropertyrentals.com for further information on these and many other beautiful properties for short and long term rentals and sales too.